Some of the most memorable parts from Zelda games have been the way in-game musical instruments have been used to provide a wonderful accompaniment for the soundtrack as well as being functional to the gameplay. 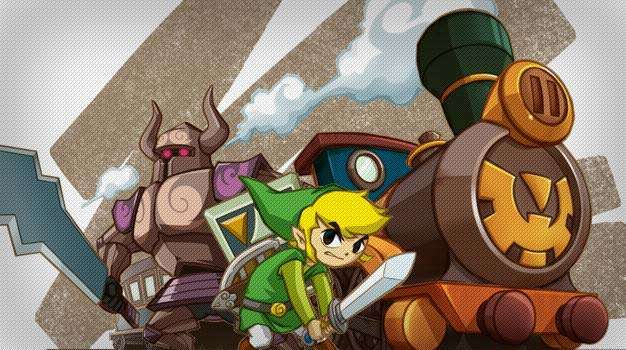 While navigating your boat with the Wind Waker or calling your trusty steed Epona with the ocarina was intriguing, Nintendo is trying to up the ante by turning the DS into the instrument for the upcoming The Legend of Zelda: Spirit Tracks set to come out December 7th. By using the touch screen in coordination with the DS microphone, players will be able to operate the new instrument (called the Spirit Pipes) using the DS like a pan flute. Choosing different colored pipes on the touch screen while blowing into the microphone and keeping rhythm with a metronome will rejuvenate tracks to the temples and allow the player to continue their quest. While the idea does sound nifty, an option to play the instrument using buttons instead of blowing would be nice for those planning to do some adventuring outside of their own home. Given that Nintendo didn’t offer any control options for Phantom Hourglass though, people might need to warm up to the idea of huffing and puffing at their DS in public come December.